The new edition of Washington Sport Fishing Rules, which covers the time period beginning July 1, 2015 through June 30, 2016 will be available in sporting good stores soon and has been posted online as a downloadable PDF by the Washington Department of Fish and Wildlife. As always, of course, emergency rules supersede those listed in the pamphlet. The National Oceanic and Atmospheric Administration’s (NOAA) Northwest Fisheries Science Center in Seattle reports it has called for reinforcements in its ongoing survey of the extensive algal bloom that has recently triggered shellfish fisheries closures in Washington, Oregon, and California. 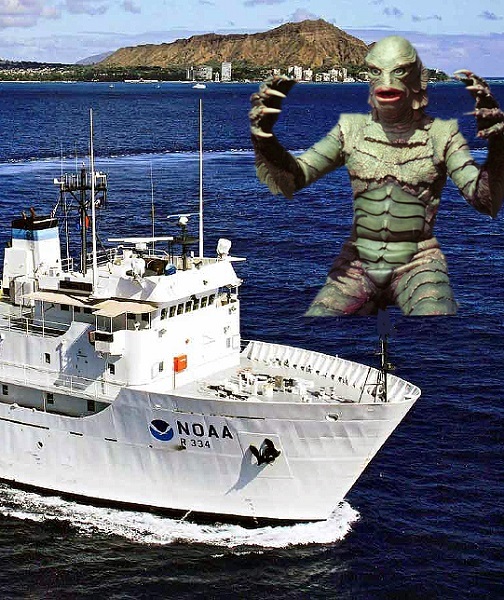 NOAA’s Marine Microbes and Toxins Program reports it coordinated with the University of Washington and the University of California at Santa Cruz to add scientists to a previously scheduled fisheries survey that put to sea Monday from Newport, Oregon aboard the NOOAS Bell M. Shimada. According to NOAA, the bloom stretches from central California as far north as Washington, or possibly Alaska, and “involves the highest concentrations of the natural toxin domoic acid ever observed” in some areas. Starting the week of July 5, the city of Tacoma, Wash. will begin construction on a stormwater treatment facility that will filter water from the 754-acre watershed before it spills into Puget Sound. The work will take place east of the Pearl Street entrance to Point Defiance Park and will disrupt parking in the Triangle. The changes will be the first in a series of permanent parking changes to the Triangle and are part of the Waterfront Phase 1 set of projects, which will mitigate contaminated soil and lead to several improvements including a pedestrian and bicycle path connecting the Ruston waterfront to Point Defiance Park, a parking lot for the existing Point Defiance boat launch, an elevated walkway over Route 163 and the new boat launch parking, and a new 11-acre park on the peninsula at Point Defiance Park. Traffic into Point Defiance Park may be interrupted on occasion by workers flagging trucks into and out of the work area. The Oregon Department of Fish and Wildlife (ODFW) is reminding anglers that retention sturgeon fishing will take place June 19-21 on the Columbia River between Bonneville and The Dalles dams. Additional three-day fishing periods are scheduled for June 26-28 and Jul y 3-5, although managers may adjust those dates to remain within the 1,100 fish annual harvest guideline. Fishery managers adopted the three-day summer seasons above Bonneville last year. Retention sturgeon fishing is also open from McNary Dam to the Oregon/Washington border through July. 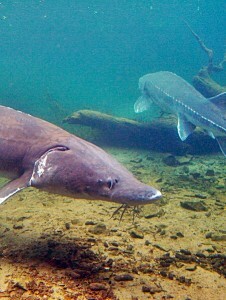 The rest of the Columbia is limited to catch-and-release sturgeon fishing. Sturgeon must be between 38 inches and 54 inches fork length to be retained in Bonneville Pool and between 43 and 54 inches fork length upstream of McNary Dam. The bag limit is one fish per day and two for the year. Fishing is restricted to the use of a single, barbless hook. According to the ODFW, sturgeon fishing, including catch-and-release, is not permitted in the sturgeon sanctuary from The Dalles Dam downstream 1.8 miles to the boat ramp at the Port of The Dalles.